Meghan came home the other day asking me how to get rid of "the little circle" on the screen of her iPod Touch. Now Meghan has started playing with the settings on her iPod learning about what it can do so I wasn't too worried about it, until I couldn't figure out how to turn of Assistive Touch. 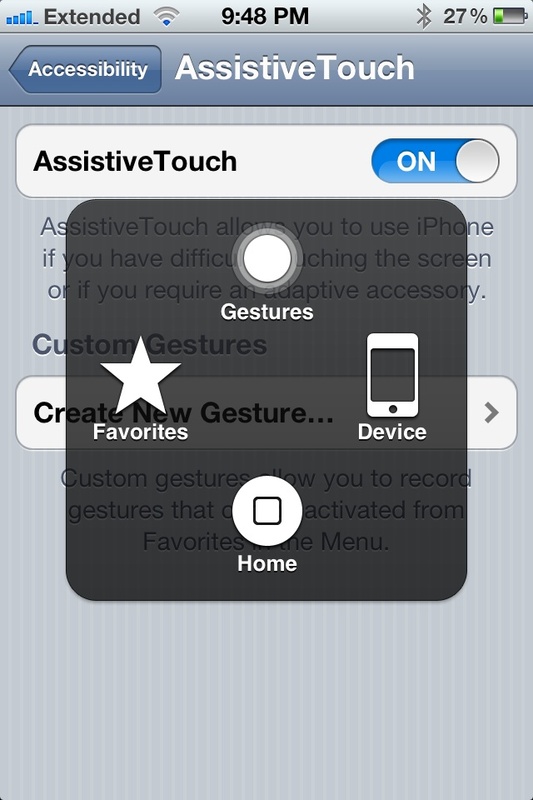 "AssistiveTouch helps you use iPod touch if you have difficulty touching the screen or pressing the buttons. 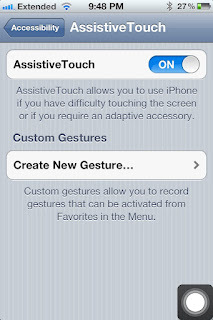 You can use a compatible adaptive accessory (such as a joystick) together with AssistiveTouch to control iPod touch. 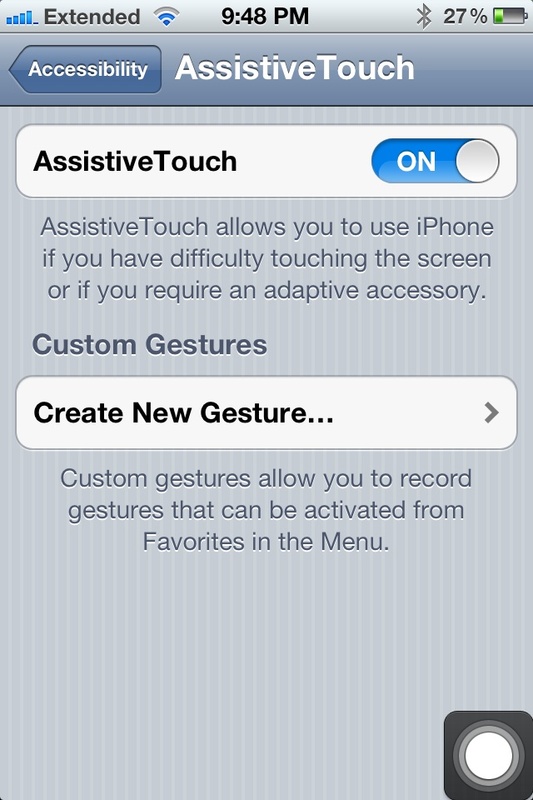 You can also use AssistiveTouch without an accessory to perform gestures that are difficult for you." 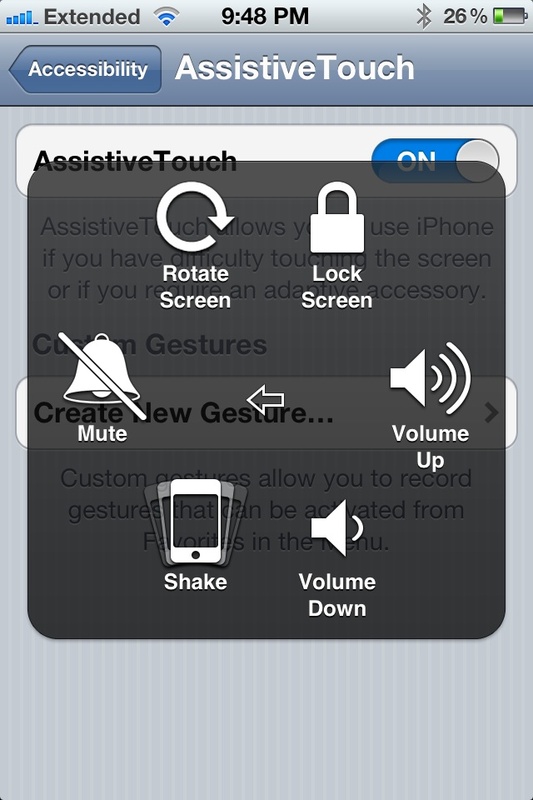 So it gives you an alternative way of manipulating your iOS 5 device if you have trouble working with the buttons or on screen controls. OK, that's cool. This was the part that threw me for a loop. 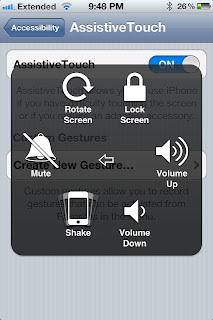 On Meghan's iPod touch, the AssistiveTouch was set to OFF, however, the "ball" at the bottom right of the screen was still there. I got rid of it by toggling the open ON than OFF again. 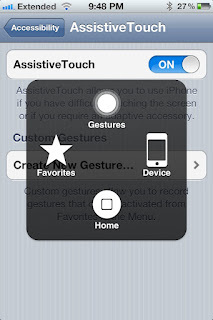 Once you turn on AssistiveTouch you can manipulate various functions of your iOS 5 device. You can download the iPod touch iOS 5 manual in PDF format from the Apple website. Touch screen phones have been very unpopular among the women,this software can solve the problem to an extent.